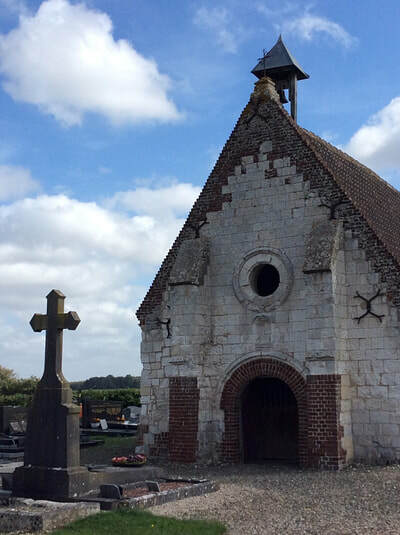 Bovelles is a village and commune some 11 kilometres west of Amiens and about 1 kilometre south of the D.211 road from that town to Molliens-Vidane. 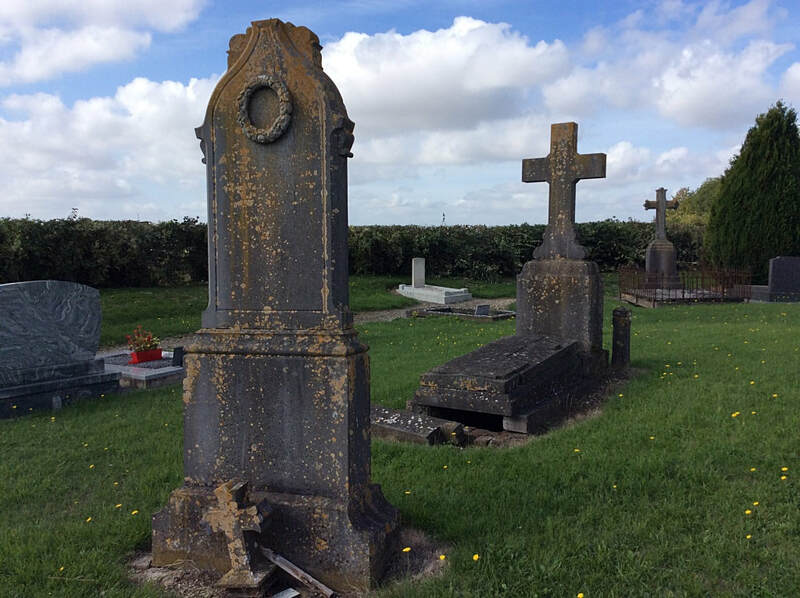 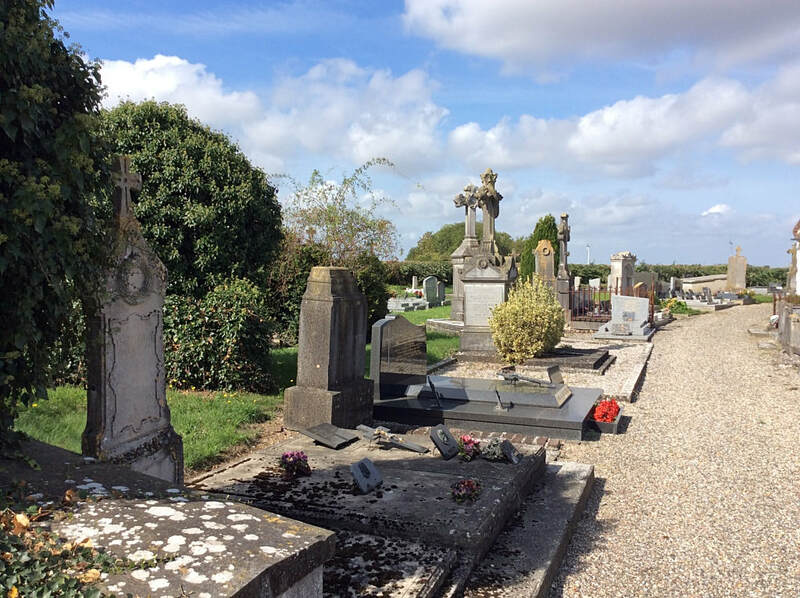 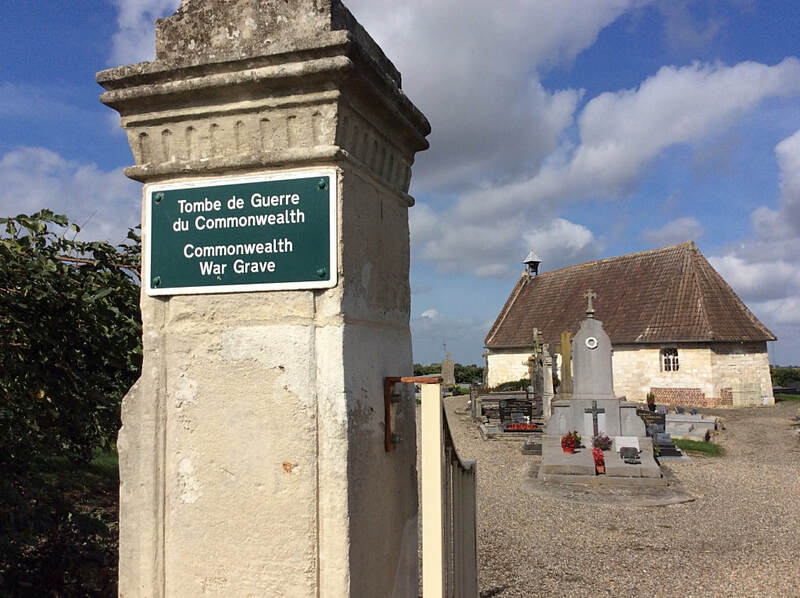 The communal cemetery is at the northern edge of the village, in the by-road leading from the D.211 road. 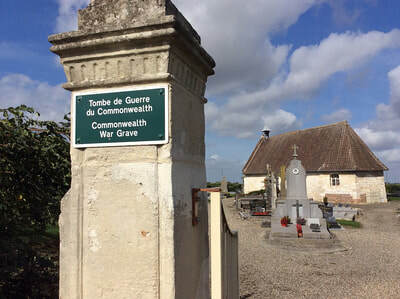 The British grave is near the middle of the western boundary, about 23 metres from the north-western corner of the chapel. 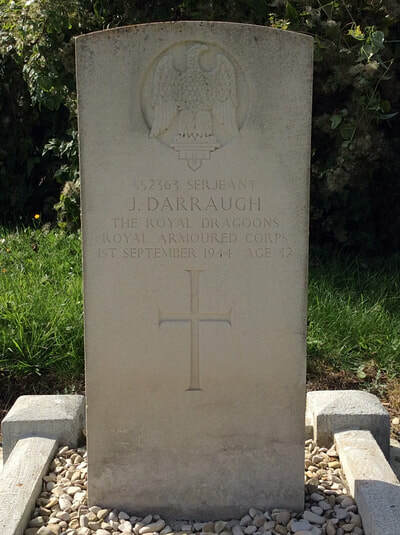 552363 Serjeant James Darraugh, 1st The Royal Dragoons, Royal Armoured Corps, died 1st September 1944, aged 32. 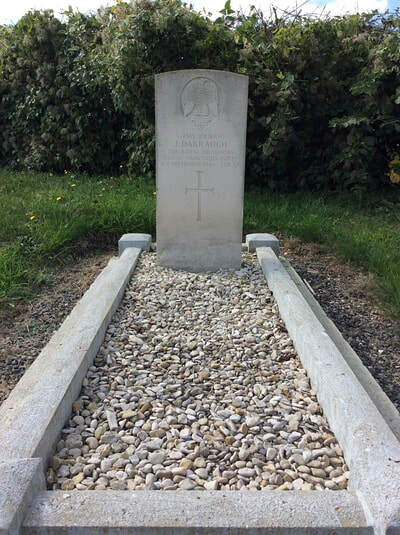 Son of Samuel and Ethel Darraugh, of Mossley, Lancashire; husband of Clara Darraugh, of Mossley.